Ah…Lucky Charms. Brings back so many good memories of being a kid and a sugar coated breakfast. Good times. 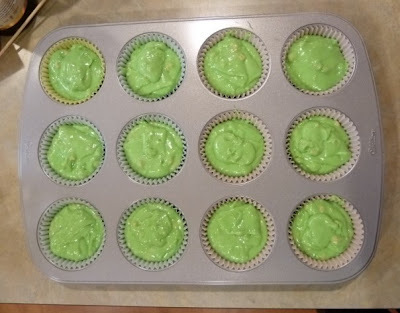 Of course, the leprechaun also reminds us all of St. Patrick’s Day so this recipe from Just Call Me Maria is doubly fun. So there you go. Pick the marshmallow “charms” that best represent your secret “powers”. In a large bowl blend cake mix, eggs, sour cream, milk, oil, and vanilla extract. 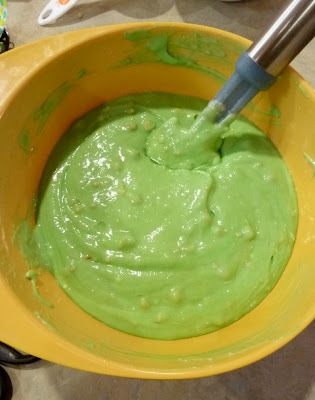 Mix in drops of green food coloring until desired color is achieved. Mix in finely crushed Lucky Charms crumbs until combined. Fill cupcake liners 3/4 full with batter and bake 18-23 minutes, or until a toothpick inserted into a cupcake comes out clean. Take cupcakes out and let cool completely. In a medium bowl beat room temperature butter with an electric mixer. Add two cups of the powdered sugar, the vanilla, and the marshmallow fluff and mix until smooth. Continue to add the powdered sugar, a half cup at a time, mixing between each addition. Pipe onto each cooled cupcake. Top with green sprinkles and a Lucky Charms marshmallow (do not top with Lucky Charm marshmallow until ready to eat*). Tip: Marshmallow buttercream may become difficult to mix. If it becomes too stiff, stop adding powdered sugar and finish mixing by hand. 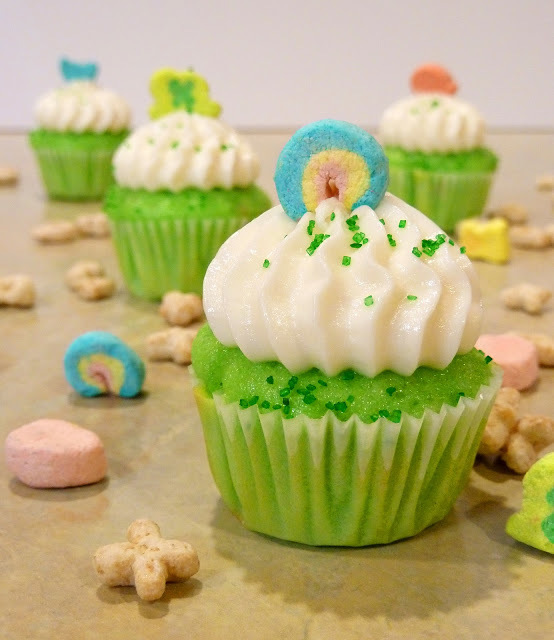 *The Lucky Charms will get mushy and loose their crispness if they remain on top of the frosting too long before eating. And as for your bonus, here are a few of the first Lucky Charms commercials! One from the 60’s, 70’s, and 80’s.